Those convenience foods that you’re used to picking up at the grocery store? You can make an awful lot of them at home! Skip the pre-made cans and boxes at the store with these easy homemade recipes. Here’s how to make some of your favorites at home. You’ll save cash, too! Making ricotta cheese is easy! 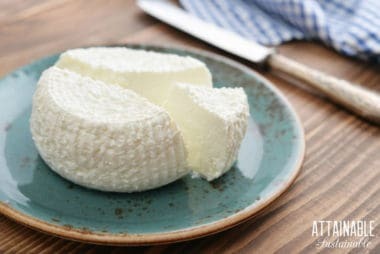 With only three ingredients, this recipe for homemade ricotta cheese is simple to tackle at home. It’s a great way to use milk that’s nearing its “use by” date, too.